UNISONIC - UNISONIC LTD. EDIT. (DIGI-BOOK) | Online Shop | Wizard LTD. 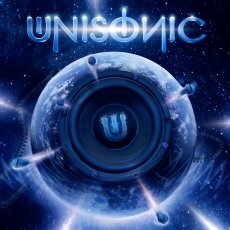 Album: "UNISONIC LTD. EDIT. (DIGI-BOOK)"
A few years ago, in Hamburg, a bunch of young musicians in love with metal and rock and roll, with a bag full of dreams and exciting riffs recorded a few songs for a metal compilation, dreaming that one day the whole world would get to listen to their music. A few months later, they were sharing stages at the biggest festivals all over the world with their English idols Judas Priest and Iron Maiden. Their albums were suddenly considered “classic”. This band was called Helloween. Many years later, the band is still delivering strong albums and is at the top of the game. But for many fans classics like ‘Keeper Of The Seventh Keys Part 1 and 2’, bring back one thing: the memory of the last metal singer/guitarist iconic couple: Kai Hansen and Michael Kiske. After Helloween, Hansen started his own band, Gamma Ray, and remained a cult metalfigure. It was Kiske, who remained in Helloween longer, to surprise everybody when he decided to not being part of the metal world anymore, after leaving Helloween 16 years ago. The question was on every metal fan’s mind: how can such a great singer decide not to play this music anymore? Why don’t Hansen and Kiske just show them all... and go back and play together again, re-creating that magic sound that so many bands tried to copy? When nobody was really hoping for this to happen, the answer showed up: UNISONIC. And it’s happening now.